As we grow older, there’s a considerable focus on maintaining our physical health. From our doctors to our friends and family, we’re often bombarded with health advice, news of the latest treatments, and suggestions to stay healthy. But how often do we talk about the mental health impacts of aging? Not enough, it turns out, and the silence is harming seniors. According to the Centers for Disease Control and Prevention, approximately one in five individuals over the age of 55 struggles with a mental health condition, such as bipolar disorder, depression, anxiety, cognition issues, and dementia. Depression is one of the most commonly reported conditions, but it is frequently the least recognized. Understanding the signs of mental illness is important for aging individuals, since untreated mental health conditions can have complications that affect all aspects of their lives. In recent years, there has been a movement to better understand how mental health and physical health combine when it comes to the wellbeing of a patient, especially as research points to links between the two. However, there still are plenty of questions left unanswered. One thing is for certain—mental healthcare needs to be part of the plan for a patient’s wellbeing as they grow older. Good mental health and good physical health are two aspects of a patient’s overall health. 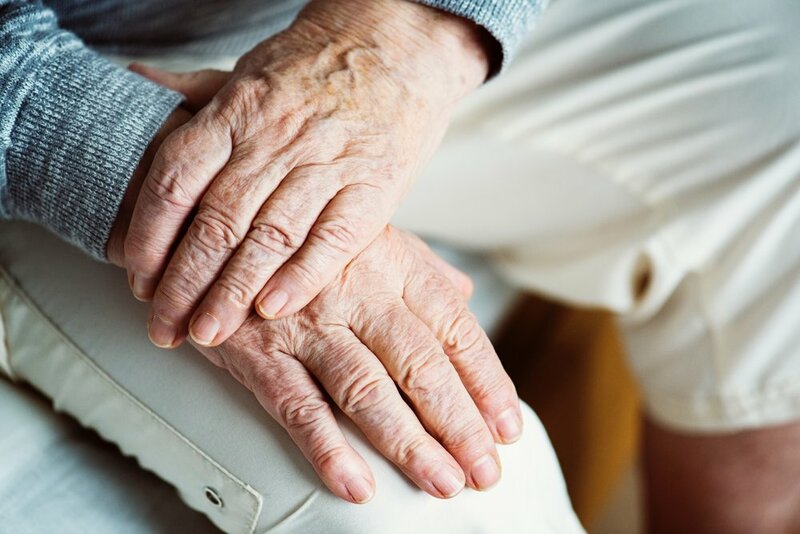 There are a number of aspects that indicate that cognitive and physical decline are closely related, which is why it’s critical for providers to address their aging patients’ mental health, in addition to their physical health. There are many of ways in which mental health can be affected by aging—and family members need to be on the lookout for the warning signs of mental illness. When an acquaintance or family member suffers a mental health episode, it isn’t uncommon to hear others expressing surprise at the incident. Regardless of how upbeat or stable a person may seem, aging can bring about changes that may get the best of any one. As we move through the stages that come later in life, it’s likely that the way we experience our lives will change, and those changes can lead to mental health challenges. Cognitive decline is a frequent trigger for mental health issues in older adults. As the brain ages, many individuals find it hard to recall familiar information. Short-term memory formation can become more difficult, which can lead to feelings of confusion, disorientation, and stress. Forgetfulness may also be a sign of a more serious condition, such as dementia. Neurological conditions, such as Parkinson’s disease and Alzheimer’s disease, also can lead to a diminished mental wellbeing. Declining physical health can also play a role in the onset of mental health complications. When an individual loses their independence due to difficulty living on their own, or can no longer do the things they love, it’s natural to struggle with the emotions caused by these changes. Pain, loss of ability, illness, and other physical health conditions heavily impact mental wellbeing. For this reason, physicians must recognize and work to actively treat mental illnesses in their patients. Another common cause for changing mental health can be isolation. Many older adults experience isolation, whether it is caused by a loss of their social network or by the struggle of getting out of the house with physical health limitations. Regular socialization is a basic human need, so it can lead to feelings of hopelessness, stress, and loneliness when these needs go unmet. Many senior organizations work to target isolation and ensure that aging individuals have access to social activities and companionship, regardless of their physical restrictions. It is essential for healthcare providers to promptly recognize and take steps to treat mental illness in older adults. The cost of untreated mental health conditions extends far beyond the personal level—many adults who suffer from mood disorders like depression and anxiety have a decreased perception of their own physical wellbeing, which can lead to an increase in how often they seek healthcare and the associated financial expense. Adults suffering from mental illness show much poorer functioning when compared with those living with chronic health conditions, such as diabetes, lung disease, or hypertension, which shows just how much mental wellbeing can impact the life of an older adult. Community-based intervention is an important factor when it comes to the wellbeing of seniors. Together with families, healthcare providers can work to address all aspects of a senior’s health, including their emotional and cognitive wellbeing. Addressing the mental health needs of older adults leads to a higher quality of life and better overall health for many. Promoting mental healthcare is promoting healthcare, plain and simple. Supporting your loved one’s care can be a challenge, but our Los Angeles senior care services are ready to help! At Angel City Senior Care, our highly trained and caring staff offer a variety of services, including physical therapy, occupational therapy, and mental health counseling, to support healthy aging for all seniors. Call today to schedule a free tour of our facilities and discover how our compassionate team can help your family. Contact our offices to learn more!